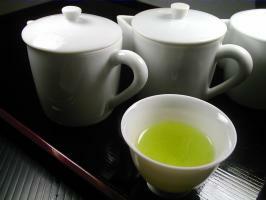 We’re back, and we brought yummy Japanese green tea (matcha) with us! We made some Japanese Green Tea Gelato today. Very delicious. Come try some!